Margie worked in a Catholic school for eight years and was absolutely dedicated to her job and the school. Then she was suddenly fired, just because she is married to a woman. When you are in the United States, please meet with Margie, her wife Andrea, and other Catholic equality activists. Please start the conversation about fully accepting lesbian, gay, bi and trans people in the Church. Margie worked in a Catholic school for eight years and was absolutely dedicated to her job and the school. Then she was suddenly fired, just because she is married to a woman. She is one of hundreds of lesbian, gay, bi and trans Catholics who have been treated unfairly by the Church, just because of who they love. The Pope has the power to stop this discrimination and in just a few days, he is going to the US. It’s a massive chance to push for change. 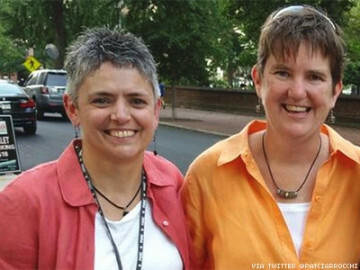 Margie, her wife Andrea and other lesbian, gay, bi and trans Catholics have asked the Pope to meet them while he’s in the US. He hasn't responded, but he may listen if he sees a huge banner saying that 100K of us back their call. 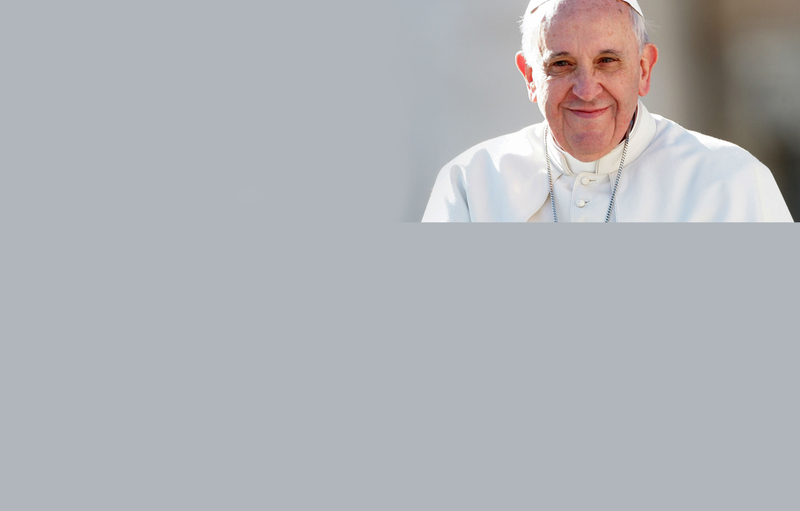 Ask the Pope to meet with Margie and begin a conversation about full acceptance of all Catholics, whoever they love. Photo: Margie and Andrea. Published 18 September 2015.